Mother’s Day and Memorial Day are going to be the most exciting race celebrations this May of 2019. 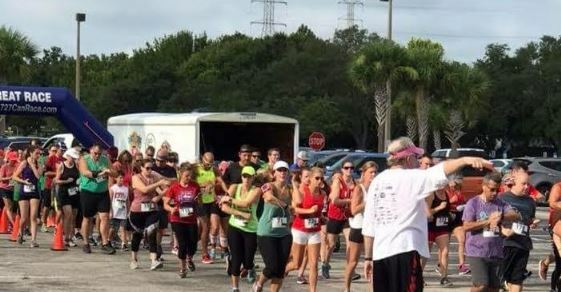 Whether you join us May 12, 2019, for THE WOW I LOVE MY MOM 5K where your finisher’s medals turned upside down says MOM….or you choose Memorial Day weekend with our awesome American Flag Finisher’s medal, you WIN WIN WIN in Palm Harbor. Palm Harbor New England’s Ale House was recently awarded the “Bar Makeover” and will air on television THIS May. This means each of us get the BIG REVEAL and all the great goodies they have to offer. Each race begins at 9:30 a.m. with race day check in only beginning at 8:40 a.m. Parking is NOT legal along US Alt. 19 or in the business centers so please park behind the restaurant in the grass areas. Pull is straight (vs. parallel) to allow more parking for others. 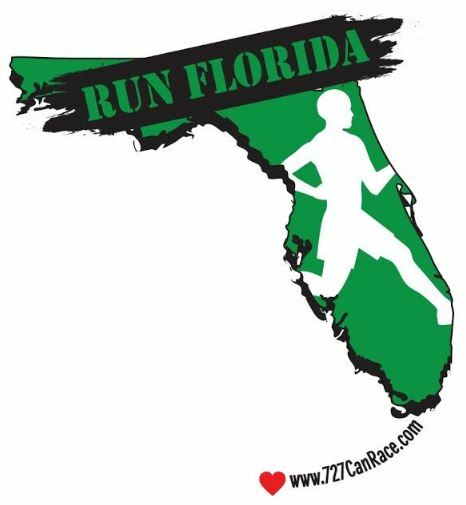 A free Michelob Ultra for everyone over the age of 21 is included in your registration, as well as a RUN FLORIDA promotional tech shirt, finisher’s medal and post race snack. The bloody Mary bar opens at 11 so if you decide to stick around enjoy and great morning with us. This run is open to all ages and ability and children are welcome, however, a shirt and medal are only given back at the post race party to everyone with a bib number issued on race morning. An email will go out to all pre registrants 2 days prior to the race with your bib numbers assignment and arrival instructions. Each race sells out at 300 participants so please don’t wait to register. Once these great medals are spoken for we WILL NOT over sell the race. See you in May! The Mother's Day 5K is limited to 300 participants of any age or ability and is completely paved. The run/walk begins at 9:30 a.m. 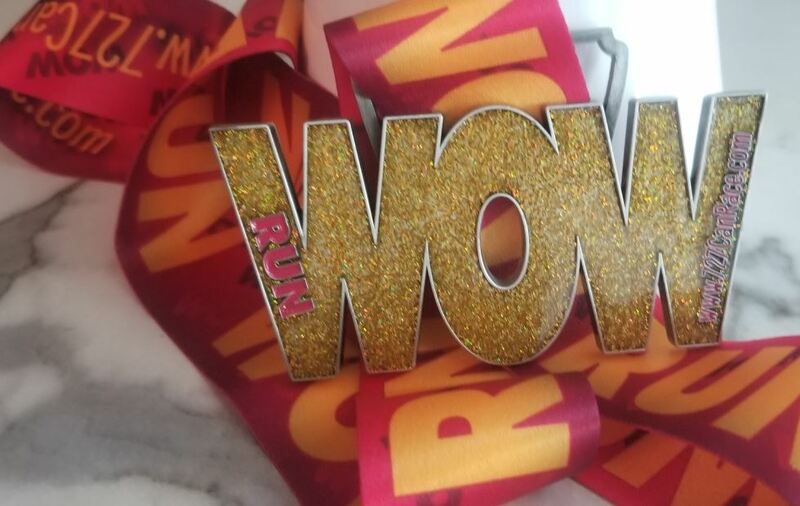 The finisher's medals are WOW awesome and awarded to every registrant. This is an electronically timed 5K but there are no age group awards. 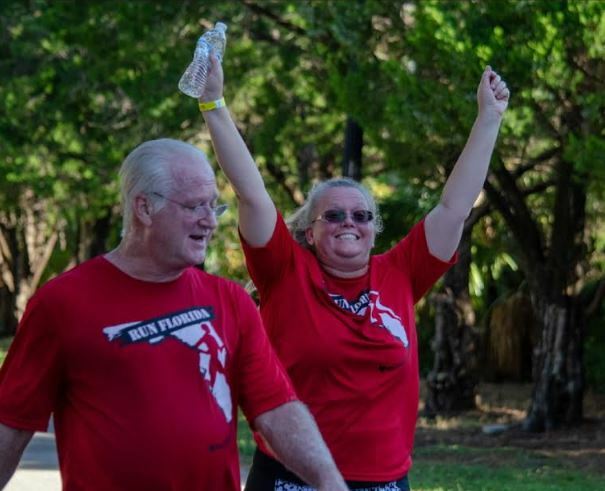 Awards will be presented to the first 10 males and first 10 females across the finish line (and as always “some special categories ” )…..the rest of us will be out there in good fun in an electronically timed but non-competitive 3.1 mile run or walk along the Pinellas Trail. 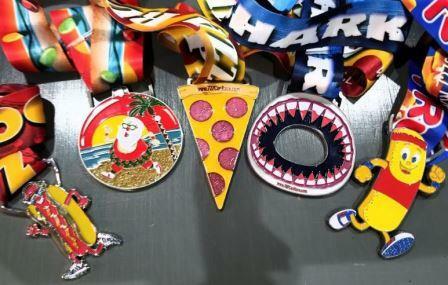 EVERYONE goes home with thr awesome finisher's medal. Check in opens 1 hour prior to race start. The course is entirely flat and paved so it is stroller/family friendly. Our post race party is open to all so invite the friends and family to join us after the race.